This painting found in the St. Olaf Flaten Art Museum suggests an immense feeling of age, wisdom, and timelessness. 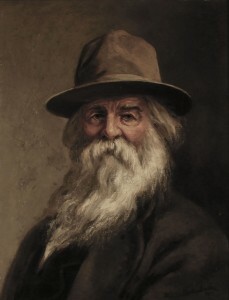 The subject, Walt Whitman, is presented in all shades of brown and grey, most of his body in shadow and the background irrelevant. 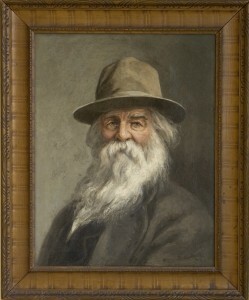 The artist, Xanthus Russell Smith, was known to be a Civil War Painter, showcasing the battles and details of wartime. 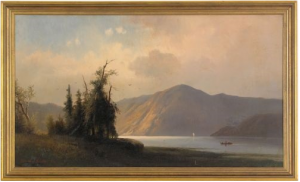 But a quick search shows that he was also an avid landscape artist, portraying the lush beauty of the New England countryside in rich detail. In fact, a closer look at the Whitman painting reveals more of the earthy tones of the artist. Whitman is not dressed for battle, but instead maybe for an introspective walk through the forest. Nature provided the time and peace for artists to reflect upon their lives and their place in the universe. Their creations presented an individualized viewpoint of the world regardless of whether or not others understood. Smith’s painting showcases a man who knows all. 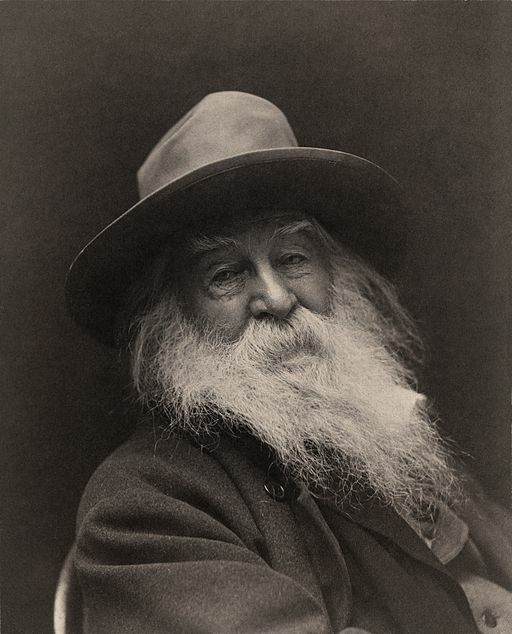 And in his own particular way, Smith portrays how he sees Whitman, as all other artists share their specialized view of the world.